Browse: Home / 2017 / July / TEDxYorkUSalon AutismInnovation Available on Youtube! The team from the Chair in ASD Treatment and Care Research at York University has partnered with TEDxYorkU to host 2 TEDxYorkUSalons. The 2017 Salon, held on April 22 2017, focused on innovations for people with autism within their community and in research. 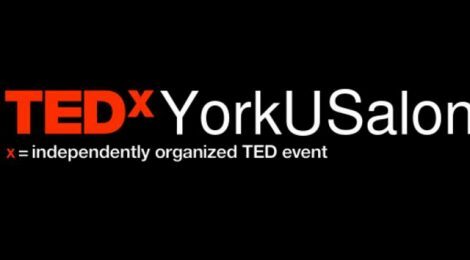 These TEDxYorkUSalons provide a forum for ideas within the Canadian autism community of stakeholders. In the 2017 Salon “AutismInnovations”, we showcased 4 TEDx speakers. After the Salon portion, 13 researchers took the stage and gave 3 minute lightening talks – all in the ASD field (from York University and other universities in the GTHA). Interactive session breaks were full of inspiration and ideas worth sharing as well! All the videos from #TEDxYorkUAutInnov are on YouTube here.